Football - The most popular sport in the world, both spectated and played by millions alike! 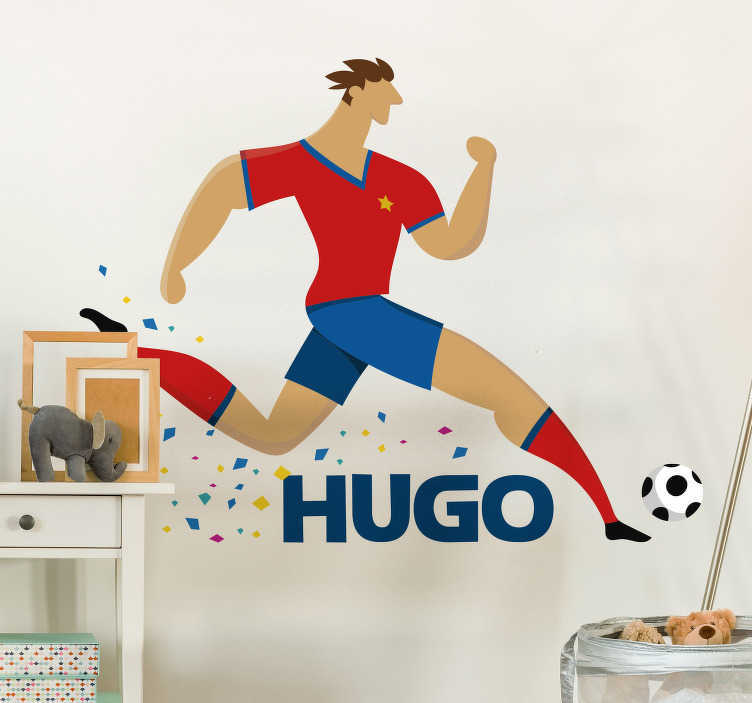 Why not pay tribute with this fantastic customisable wall sticker, depicting a footballer in full flow, with a name underneath! The text can be customised to be anything you like, so whether it is a first name, last name or any other text you like, choose this size and buy this sports decal now!